Playing laser tag with your three munchkins on Mother’s Day = awesome. Just in case you were wondering. Mighty Mite and I finished How to Train Your Dragon – the book, not the movie – this weekend. Now the book is never the same as the movie, but this is the first time I’ve found a book where the story was completely different from the movie. The characters (well, some of them) were (kinda) the same, and the setting was still the remote Viking Island of Berk, but beyond that these were two vastly different stories. 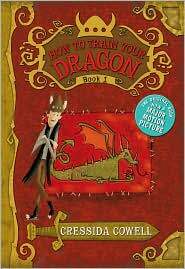 How to Train Your Dragon, by Cressida Cowell, is a story about a pathetic young Viking named Hiccup, and his attempts to train an equally pathetic and toothless dragon, so he can join the ranks of the Hairy Hooligans. Amazingly, the book is more violent than the movie and is filled with Vikings beating on each other, dragons clawing, attacking, and ultimately obeying Vikings, and a monstrous dragon beast that gleefully discusses “fileting” our young hero. While the violence is frankly described, “large chunks of dragon lay all over the field,” it has a comic book effect in print, rendering it less horrifying. Still, I wish I had known this before I started reading it to my six year old (who loved it, BTW). The book has a juvenile feel to it, as though its Wimpy-Kid-like comic drawings are targeting 8 year old boys, and while it has an impressive pounding beat of action and a happy ending, it felt far less satisfying than the movie. Although Mighty Mite delighted in the book, my 9 and 11 year old sons have shown no interest in it. (Hiccup, chastising Toothless for not helping him impress the lovely Astrid) “Thanks for nothing, you useless reptile.” This is also one of the few riffs off the book, where Hiccup is known as Hiccup the Useless. There’s lots of fun stuff on the movie website, and some cool stuff on the book website, as well as several more books in the series. Overall, I would say the book is good for advanced readers ages 8+, especially with the higher reading level, but with some cautions for violence, and the movie is good for ages 8+ as well, with some cautions for the two chaste kisses and Hiccup’s desire to date Astrid. 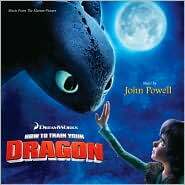 I might have to get How to Train Your Dragon on DVD. But how will I explain to my husband that we have to watch it again, even if the kids don’t want to? @Sherrie It's a mystery to me why line drawings would draw kids into Wimpy Kid, but not to Train Your Dragon. There is a serious x-factor in this business. LOVED this movie, didn't realize it was a book. But it's a cool movie, and I'm glad I'm not the only grown-up who really liked it! @Cynthia I wish I could get these producers/directors/whatevs creative geniuses to do the next HP film. Sigh. But that ship has sailed. I was debating about whether to take the kiddos to see the movie – now I will, for sure! On the other hand, we missed the Lightning Thief when it came out, but we are reading the book right now. They love it (at least the two olders ones, 8 and 6). EVERYONE has told me the book is better than the movie.